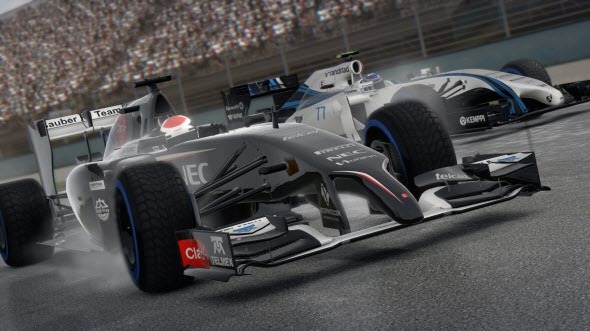 A week ago, we told you about the game’s system requirements and showed lots of new colorful project’s pictures, and today we’d like to demonstrate you the fresh F1 2014 trailer and screenshots. 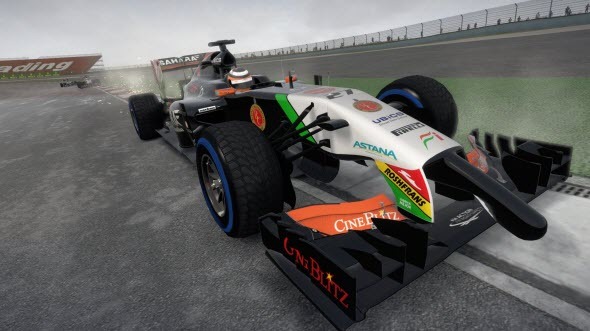 Thus, yesterday, the developers of the next instalment in the racing simulator series published new F1 2014 screenshots in the official game’s community in FB. The 8 fresh pictures show us not only the really cool race cars in action, but a track and even the fans on the grandstands. 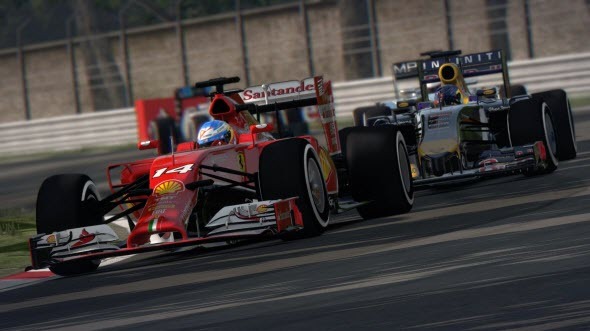 So we suggest you looking at new F1 2014 screenshots right now and then writting us your opinion about these images and the game in general. 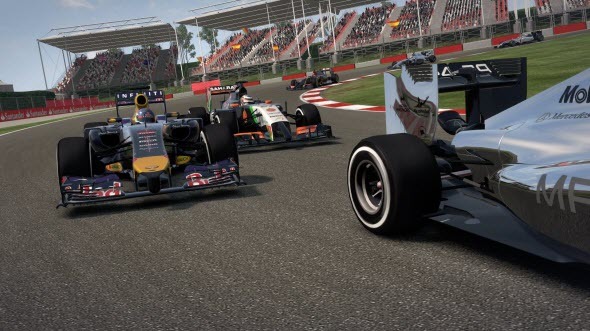 Besides the colorful pictures, a couple of hours ago, Codemasters’ employees presented new F1 2014 gameplay trailer. The fresh video, which lasts a bit more than a minute and a half, demonstrates us a heat on the automobile track in Bahrain - the one, which hostes the annual Formula One Grand Prix. 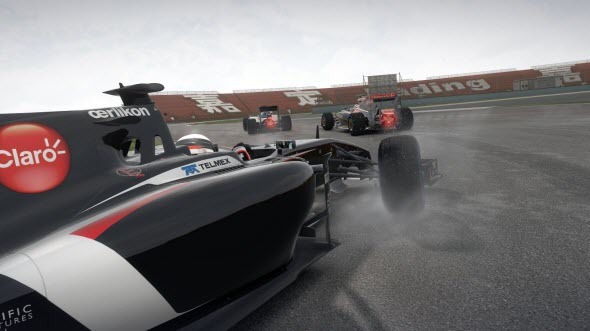 The main thing, which should be noticed in this F1 2014 trailer, isn’t Ferrari Scuderia or the track, but the new, really plausible, sound of the turbocharged car. 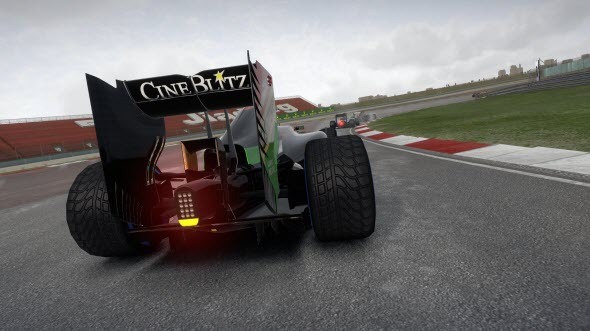 This is a very important moment, because in the upcoming game the developers have replaced all automobiles with V8 engine and 2.4 litre with the cars with V6 engine and 1.6 litre. And so, it’s quite necessary that all game’s elements, including the cars’ sound, will be on the highest level. 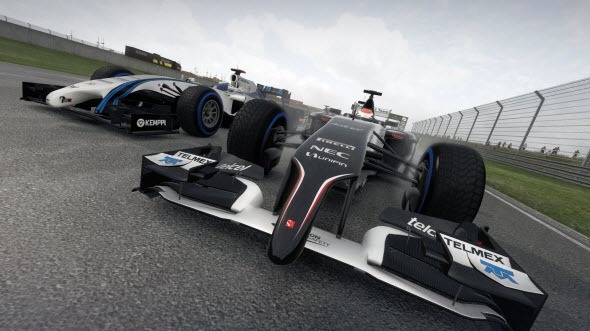 Will the developers succeed in it or not, we will be able to get to know only after the project’s launch, and now we advise you to watch fresh F1 2014 trailer and evaluate the automobile’s sound. 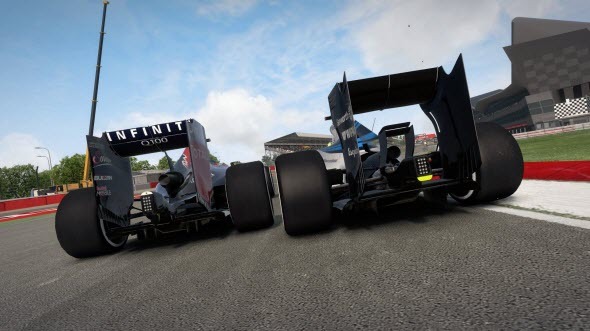 Did you like new F1 2014 screenshots and trailer? Are you going to buy the game? Let us know in the comments below.